Spain is the most widely planted wine producing nation in the world. In 2011, it had over 2.9 million acres of productive vineyards. Lower relative yields put Spain, just behind France and Italy, in global aggregate production. However, Spain still produced an impressive 3.4 million tonnes of wine in 2011. Some Spanish wines and wine growing regions are almost household names; Rioja, Ribera del Duero, Priorat, Albariño Jerez and Jumilla and to a lesser extent the wine growing regions in Valencia, Ribeiro, Bierzo, Valdeorras, Cigales, Costers del Segre and Toro. With many, many more in-between. It is often said that Spain can offer a bottle for every wine drinker. The DO - Denominación de Origen - designation of Origin – is used to denominate quality and geographical origin among Spain’s finest producers. Malaga has one of the longest wine producing histories in the world, dating all the way back to Phoenician times. The Greeks, the Romans and the Moors were all fond of Malaga’s wines, encouraging its production and export. Changing tastes and the vine-destroying plagues of the 19th century, all but decimated Malaga’s wine industry. Today, Malaga is the largest of the DO wine zones in Andalucia, with approximately 3000 acres planted in some 30 vineyards (Bodegas) and produces over 2 million litres annually. It is best known for its sweet wines made from the Moscatel and Pedro Ximenez grape varieties. The two varieties of grape tend to be concentrated in the Axarquia growing region of Malaga province, not far from the town of Velez Malaga. There are three main grape growing areas in Malaga Province; east of Malaga in the Axarquia region, west of the city and centred around the village of Manilva where the larger Moscatel grapes are grown - mainly for eating. The most intensive farming is just north of Antequera, where a sweet variation of the Pedro Ximenez variety predominates. Despite the fact that the grapes are being grown, pressed and sometimes fermented in other parts of the province, Malaga wines are all aged in Malaga city itself. Having a small glass of sweet wine is part of the culture. Part of the social fabric that makes up Andalucia. There is no better place to try Malaga’s traditional wines than in one of the original wine bars. Bar Pimpi and the Antigua Casa de Guardia are, without a doubt, two of the very best. The Antigua Casa de Guardia is the oldest wine bar/tavern in Malaga. Founded in 1840 by Don José Guardia, the Casa de Guardia is so much more than a wine bar or cellar. Its an institution. For wine lovers, it is a place that must be visited when in Malaga. A true cultural heritage that has been producing wine in the same way for the last 172 years. The Casa de Guardia is sometimes locally nicknamed as “El Barril Místico” - “the Mystic Barrel,” a place that contains a wine that is so rare, so scarce and so valuable that only a select few are able to try it. 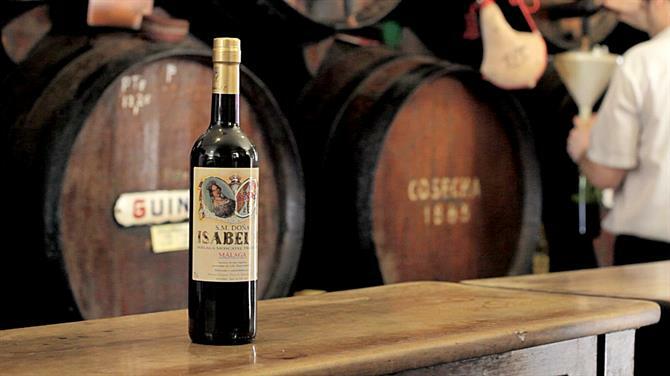 Queen Isabel II appointed the Antigua Casa de Guardia as their official Malaga wine supplier, even allowing the Royal seal to be used on their bottling. Which was no small feat. The bar has little changed over the years. With its age-old oak counters and cask wooden barrels, the wine is pulled using Cuban/Russian taps that date from before the Second World War. The bill is still chalked on the bar in front of you, the antiques, the paintings and the carefully preserved bottles, all combine to make the Casa de Guardia an authentic living museum. The most famous tapa bar on the Costa del Sol and one of Malaga’s most iconic landmarks, no visit to Malaga is complete without visiting El Pimpi. It consistently ranks as top of any places to see in Malaga list. The appeal is easy to understand. The bodega - bar is situated in a former eighteenth-century mansion located right in the heart of the city, just a stone’s throw from the popular Plaza de la Merced. The typical bar oozes Andalucia charm, with interior patios and terraces that are perfect to wile away warm summer evenings, while sipping wine and enjoying some local tapas. The food is second to none and is also responsibly priced. Its Malaga Virgin wine was voted as being the best in Andalucía. Bodega-Bar El Pimpi is decorated with old pictures, posters, bull fighting memorabilia and old barrels, many of which, have been signed by its numerous famous visitors such as the Picasso family, Antonio Banderas, the Duke of Alba, Rafael Nadal, various big names in Flamenco, politicians and numerous other celebrities. Bar Pimpi is the place to be in Malaga. A visit to a bodega in this beautiful and emblematic city is a must for any traveller or tourist. They form the route of a pilgrimage for tourists who enjoy the great pleasures of wine, occupying an important place in Costa del Sol tourism. 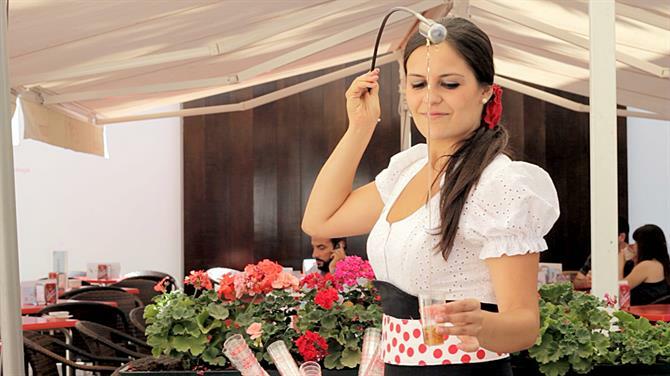 Visit Malaga for this unparalleled experience that touches all the senses.